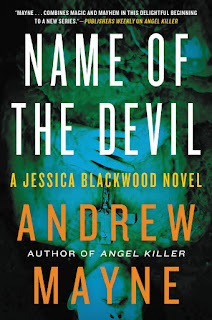 'In this electrifying sequel to the crowd-pleasing thriller Angel Killer, magician-turned-FBI agent Jessica Blackwood must once again draw on her past to go up against a brutal murderer desperate for revenge at any price. 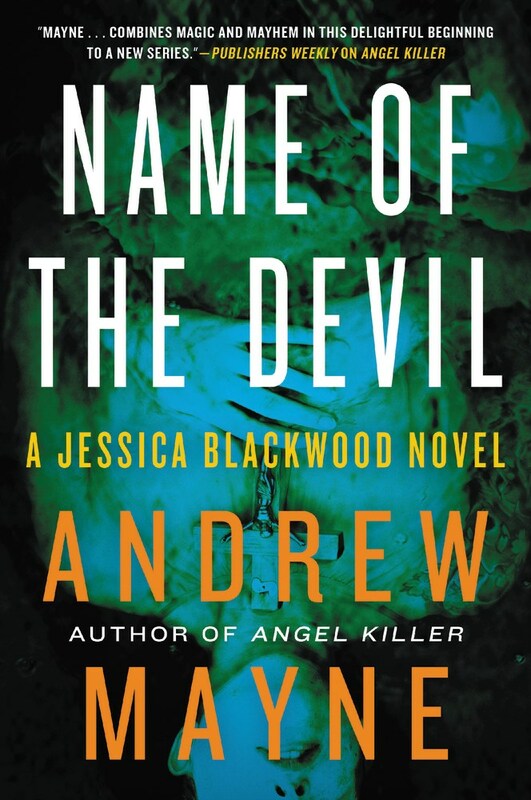 After playing a pivotal role in the capture of the Warlock, a seemingly supernatural serial killer--and saving the FBI's reputation in the process--agent Jessica Blackwood can no longer ignore the world she left behind. Formerly a prodigy in a family dynasty of illusionists, her talent and experience endow her with a unique understanding of the power and potential of deception, as well as a knack for knowing when things are not always as they appear to be. When a church congregation vanishes under mysterious circumstances in rural Appalachia, the bizarre trail of carnage indicates the Devil's hand at work. But Satan can't be the suspect, so FBI consultant Dr. Ailes and Jessica's boss on the Warlock case, Agent Knoll, turn to the ace up their sleeve: Jessica. She's convinced that an old cassette tape holds the key to the mystery, and unraveling the recorded events reveals a troubling act with far-reaching implications. The evil at work is human, and Jessica must follow the trail from West Virginia to Mexico, Miami, and even the hallowed halls of the Vatican. I really enjoyed this author's Angel Killer even though this is typically not the type of book that I read. I like to stay with my cozy mysteries and historical fiction, but this author is quite impressive. I really like this series as I feel that I am always in for a treat. I will say that I didn't enjoy this one quite as much as the first one, but nevertheless, this was a fun and exciting read. Jessica Blackwood is back again. She's got another crazy serial killer that is using religion to find the victims. Is there some sort of supernatural demon on the loose or just a deranged killer? It is up to Jessica and the rest of the FBI team to discover what exactly is going on. Unfortunately, for Jessica this killer has some high connections that might get in her way. I like the way that this author writes. He uses Jessica's past and the present to weave together a story that leaves the reader wanting more. I was on the edge of my seat a lot with this book and I hardly ever wanted to put it down. I really like the way that the author created this series and made his main character a little different from the norm. Yes, Jessica is an FBI agent, but she has a past in the magic show realm and comes from an illusionist dynasty. Jessica uses her FBI training and her nonconventional magical training to track down murderers and help save the world one day at a time. If you really like thrillers that will keep you up late at night dying to know what happens next, then this is most definitely the series for you. I cannot get enough and I am anxious to see what is in store for the next mystery. I like these books because they are different and psychological in a way and make you think outside the box. Another well done book from the creative and engaging Andrew Mayne. He's a magician, a paranormal illusionist, an inventor and an unapologetic prankster. He’s been one of magic’s best kept secret. 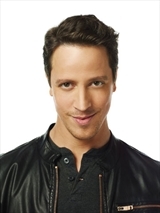 Andrew Mayne started off on a promising career in magic as a teenager when he became the second youngest illusionist to ever embark on a world tour (The first one being another upstart by the name of David Copperfield). During his tour he performed in resorts, on luxury liners and exotic locales around the world. Five years later, at the ripe old age of twenty-three, he decided it was time for a career change. Bored with putting beautiful girls into boxes only to be cut in half, the sequins and the other clichéd trappings of magic, Andrew decided to call it quits on anything that was beginning to look like a normal career in magic. Although an established performer at the top of his career, there wasn’t a place for the kind of magic Andrew really wanted to perform. To his booking agents chagrin, he decided to delve behind the scenes and see what kind of boundaries he could push. This has been a stop on the Name of the Devil book tour presented by TLC Book Tours. Make sure you check out the other stops on the tour! Disclaimer: This book was given to me by the publisher, through TLC Book Tours and Edelweiss. I reviewed this book without compensation of any kind. All thoughts and opinions are solely mine. Jessica's backstory really sets this series apart from others in the genre - I love that it is unique in that way.